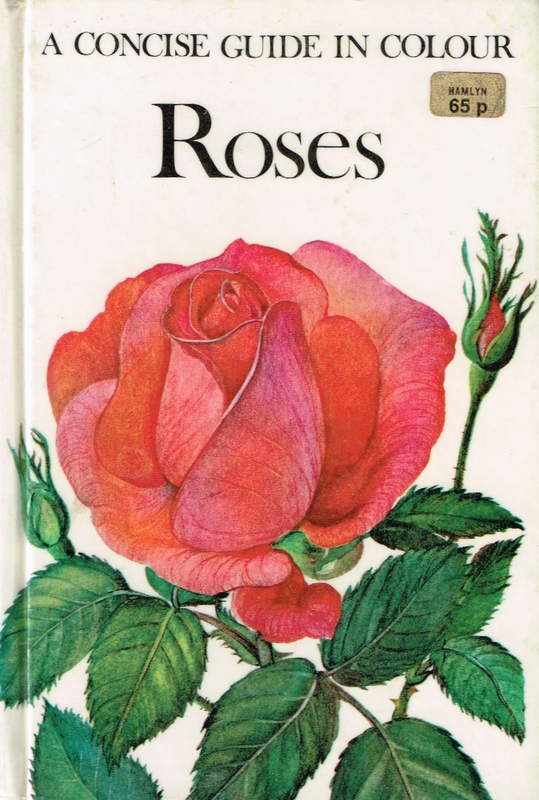 This rose, a hybrid tea rose featured in the book, was bred by Mathias Tantau Jr. in 1964, and still sold by the 100-year-old Rosen Tantau firm in Uetersen, Germany. This hybrid is now more than fifty years old, and still rose aficionados who want a rare, noble, beautiful and fragrant tea rose in their gardens specifically search for Blue Moon. 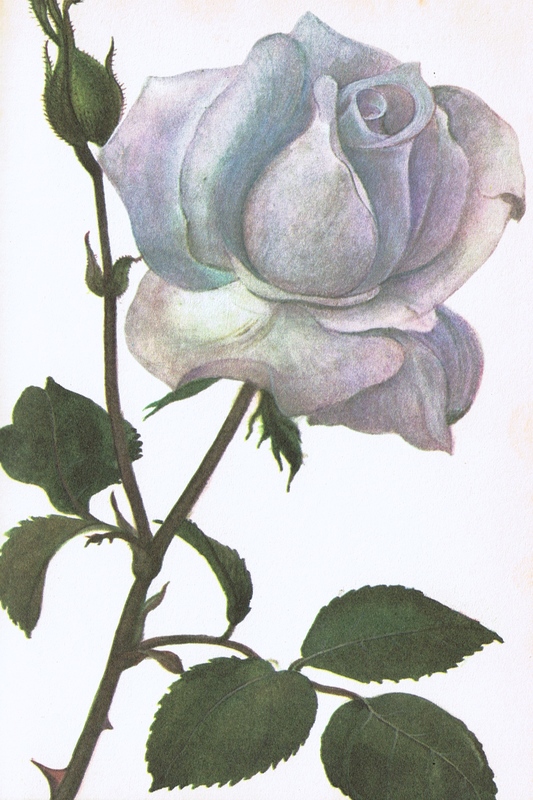 Illustration of the “Blue Moon” rose, from Roses – A Concise Guide in Colour, p. 139. The seedling in the illustration is called “Sterling Silver”. Efva Attling with one of the perfumes she designs to match her jewelry ranges. “Blue Rose”-inspired eau de parfum “Rose Petals” by Efva Attling. The “Blue Rose” – more a pale violet than actually blue, is still grown today. Swedish jewelry designer Efva Attling has produced a perfume, Rose Petals, that is inspired by the deeply fragrant Blue Moon rose that she has had in her garden for more than a decade. Rose Petals Eau de Parfum is a lovely scent with elements of passion fruit, pomelo and pear along with magnolia and cedar wood. Top notes: Passion Fruit, Pomelo, Asian Pear; Middle notes: Turkish Rose Oil, Magnolia, Lily of the Valley; Base notes: Soft Musks, Cedarwood, Vetiver. All her perfumes are made by French fragrance and flavour manufacturer Robertet, in Grasse, France. Sources: Header image – Efva Attling with one of her perfumes, from Kicks, Finland website.